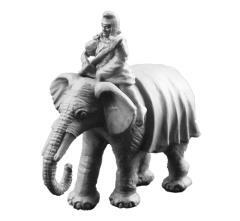 Contents: Single model consisting of elephant head, body and Mahout. Model comes with random 1 of 2 elephant heads. Miniatures are supplied unpainted and assembly is required. NOTE: Some models supplied without weapons.